Traveling with your horse? Plan Ahead! Travel documents sometimes seem like a hassle, but getting them not only verifies that your horse is healthy, but provides you with the comfort of knowing that the other horses attending an event are healthy also. Carefully read any instructions from your planned destination. Call our office in plenty of time to schedule your health certificate exam and Coggins test if needed. Have your paperwork ready before or during your appointment. Please provide your information and your horse’s information, your destination address and dates of travel. This will ensure that there are no last minute surprises and that your trip will be a stress free, fun time! 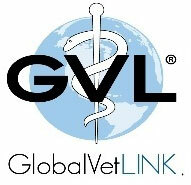 What is Global Vet Link (GVL)? How do I access my travel documents? Where do I find travel requirements? Janssen Veterinary Clinic uses the electronic Coggins and Health Certificate system, Global Vet Link. This is a nationally recognized on-line database application that allows veterinary practitioners, state authorities, diagnostic laboratories and other health officials, to create, access and monitor animal movement documents. Nationwide Acceptance. Electronic Coggins (EIA) & Health Certificates are recognized in all 50 states. Accuracy. Pictures are included for more accurate identification on your travel documents. Convenience. Access secure copies of your document online. Security. Your horse’s identifying data is maintained on a secure web-based database. Time Savings. You only have to provide this information once for the duration of your ownership of the horse. Every subsequent Coggins test requires only a blood sample. As a horse owner, you are eligible to create an “Owner Account” to login to retrieve your eCoggins or Health Certificate. For more information about Owner Accounts, go to http://www.myvetlink.com/help/owners.html (Note: your login is the email address that you gave to your veterinarian at the time of the blood draw). Different states have different requirements on traveling with your horse, but two things are common to all of them: crossing a state line requires a Health Certificate and a negative Coggins Test. Most states require the negative Coggins within the last year, but there are a few states that require it within the last 6 months or within the calendar year of travel. State requirements can be found through Global Vet Link. Even if you are not crossing a state line when attending a show or other event, carefully read over any show material you may have for the exact requirements. A Certificate of Veterinary Inspection (CVI), more commonly known as a Health Certificate, is required for any horse crossing state lines. This exam includes a general wellness exam and a current body temperature and must be performed by your veterinarian. A Health Certificate is good for only 30 days. It is very important to schedule your health certificate exam appropriately for your travel plans. Coggins testing is a prerequisite for the Health Certificate. Negative test results are noted on the Health Certificate as part of the healthy horse requirement. In the late 1970s, Dr. Leroy Coggins developed a test for Equine Infectious Anemia (EIA), a highly contagious equine retrovirus. The acute form of EIA is a sudden onset of the disease at full-force. Symptoms include high fever, anemia, weakness, swelling of the lower abdomen and legs, weak pulse, irregular heartbeat and sudden death. In the chronic form of the disease, the horse tires easily and is unsuitable for work, may have a recurrent fever and anemia, and may relapse to the acute form. In the United States, all horses that test positive must be reported to federal authorities by the testing laboratory. EIA-positive horses are infected for life, and must be permanently quarantined or euthanized to prevent spread of the disease. To be sure that a horse is not infected with EIA, a simple blood test is performed. Our doctor or technician will draw a blood sample and send it to the testing lab along with the required identification paperwork. The process takes 3-4 days to get results. A “rush Coggins”, using an ELISA testing procedure, can be completed within 24 hours if time is a concern, but it is significantly more costly to perform. EIA is rare, but the consequences of an outbreak can be devastating, and diligent testing continues to protect our equine population from this disease. Each boarding, exhibition, and trail riding facility has its own requirements regarding Coggins testing. Most in Indiana require a certificate verifying a negative test within one year of the horse’s arrival on the premises. When crossing a state line, a negative Coggins and Health Certificate, also known as an Official Certificate of Veterinary Inspection (OCVI), are required by law. Without proper paperwork, your horse can be denied entry to a facility, turned back to the state of origin and/or quarantined pending the confirmation of positive health status. In order to expedite your appointment for Coggins testing, please be aware of the following photographic requirements. Indiana requires 3 pictures of the horse: left side; right side; and face from the front (very similar to the paper Coggins drawing).Your horse’s markings must not be obscured, so the horse should not be wearing blankets or leg wraps or be excessively dirty (muddy legs), and the horse’s stance should allow clear view of the inside leg markings. Additionally, the paperwork requires your name and address, your horse’s name (registered and barn name), breed, gender, color and birth date, as well as a description of markings and identifying features. Once we have your horse’s identification records on file, we do not need to collect it again. All future Coggins testing will necessitate only a blood draw.